THE Bureau of Meteorology is warning travellers to "have a plan B in mind" this weekend as rains continue to fall across the region. Bureau of Meteorology (BOM) forecaster Adam Blazak said despite the weakening rain last night, motorists should still prepare for delays due to the wet weather. "If they are travelling around they might get to a crossing that they can't get through. They should just prepare themselves for a plan B. Maybe you will have to turn around and go back." Mr Blazak said the deluge of rain over the past week has resulted in catchments reaching their limit. "Most of the catchments are at field capacity. So the soil just can't take another drop and any rainfall that falls just goes straight into the rivers and creeks and heads downstream," he said. He's warning residents to "be aware that the catchments are already saturated and any further rainfall will lead to quick river rises". A moderate flood warning has been issued by BOM on the Isaac River at Yatton. The BOM said the Isaac River at Yatton is peaking at a moderate flood level of around 10.70 metres. This warning is expected to remain in place until Saturday afternoon. Despite easing flood conditions at Connors and Isaac Rivers between Pink Lagoon and Yatton, the BOM is still warning residents that a minor to moderate flood warning is in place. 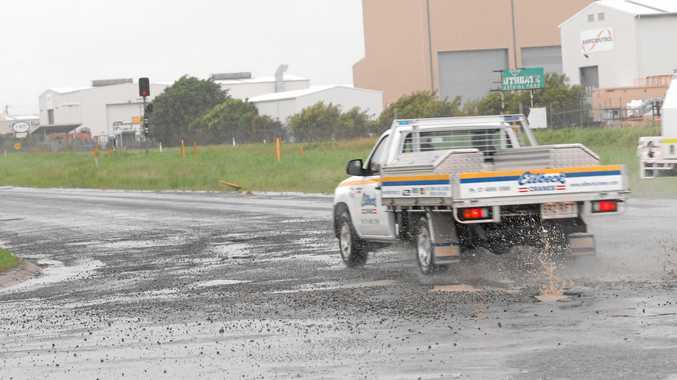 While flash flooding alerts are not active in the Mackay region, Mr Blazak said residents should "keep an eye on those warnings as the day progresses." The excess water continues to cause havoc on the roads. The Department of Transport and Main Road had flagged multiple roads, with two roads experiencing dangerous driving conditions, 19 flash flooding alerts and 15 long-term flooding warnings.